What goes up must come down, right? Wrong, says athleisure and all things associated with the nature-defying force in the fashion world. Said movement (trend is far too specific a word) has taken a million forms, from baggy to skin tight, and although one of its most mainstream applications is the idea of suits and sneakers, the one thing it's never been is formal. And yet the pendulum must swing back. In this case, it's not so much away from athleisure, but rather into yet another incarnation of the movement. Tailoring, by its aesthetic definition in fashion, is on the rise. It refers to any garment that is birthed from a formal disposition: structured, fitted, sharp. Anything tailored also tends to err on the side of classic, ensuring a sense of longevity and styling adaptability that is deliciously cost effective. Tailoring is being ushered back into everyday dressing by the suit. 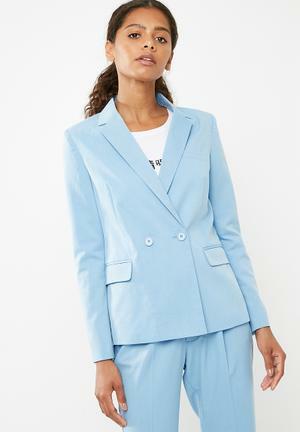 Last year saw a big push on womenswear suiting in multiple prints, colours and styles – fashion's answer to feminist dressing. Meanwhile, designers like Raf Simons, Kim Jones, and Virgil Abloh were redefining the menswear suit, setting a tone for what is sure to become the most pivotal influence in how we get dressed in 2019. In addition to the tailoring aesthetic's aforementioned longevity, it's also wonderfully office appropriate. To clarify, athleisure will not be abandoned, just tailored. 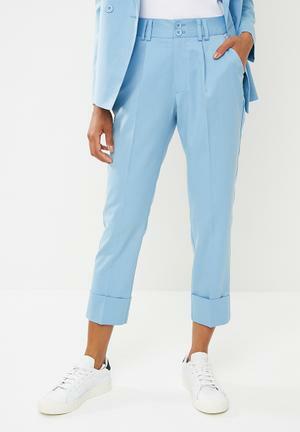 Think suit jacket paired with side-snap track pants. 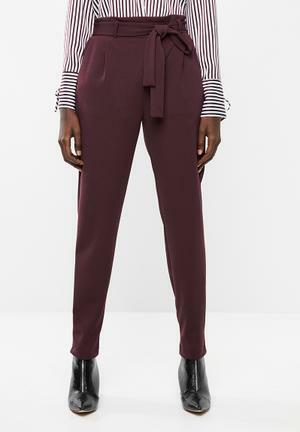 Or better yet, suit trousers designed with the comfort and silhouette of track pants in mind. Today, tailoring might present itself more in styling, but soon it will move into a design intelligence that considers the best of both worlds. The biggest example of how this is already happening is at Riccardo Tisci's Burberry. The designer's debut collection for the brand was an essay on modern elegance, serving many a blazer, skirt and suit that was anything but relaxed. 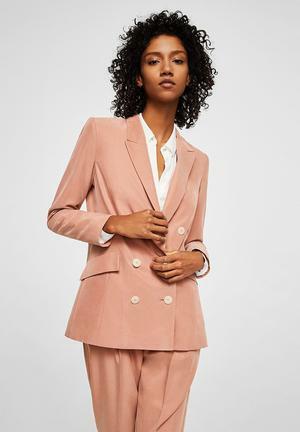 But then you look at the peach mens' suit with its wide slouchy pants and casual double-breasted jacket, or the womens' look with the belt-collar printed blouse and double-front suit trousers that have an undeniable slouch to their silhouette – these are viable thoughts on the integration of formal and casual. 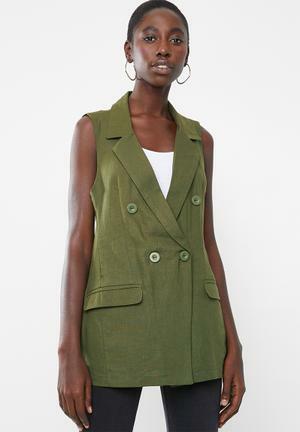 This is incredibly exciting news for workwear. 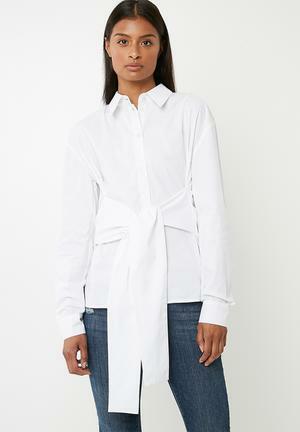 Essentially, it means that office-appropriate clothing is becoming increasingly fashionable. 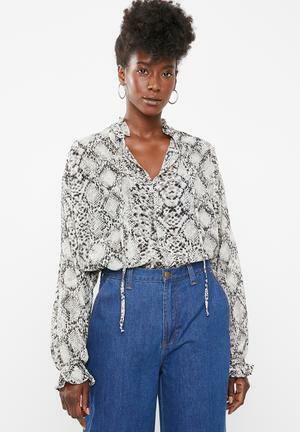 The days of dusty suits and frumpy separates you purchase in protest are over. 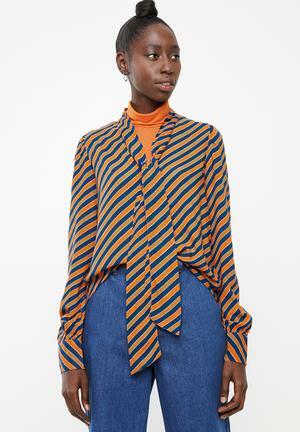 Shopping for beautiful clothes that feel modern, desirable, and office appropriate will be easier than ever this year. It's a style that works in the office, on the weekend, wherever.